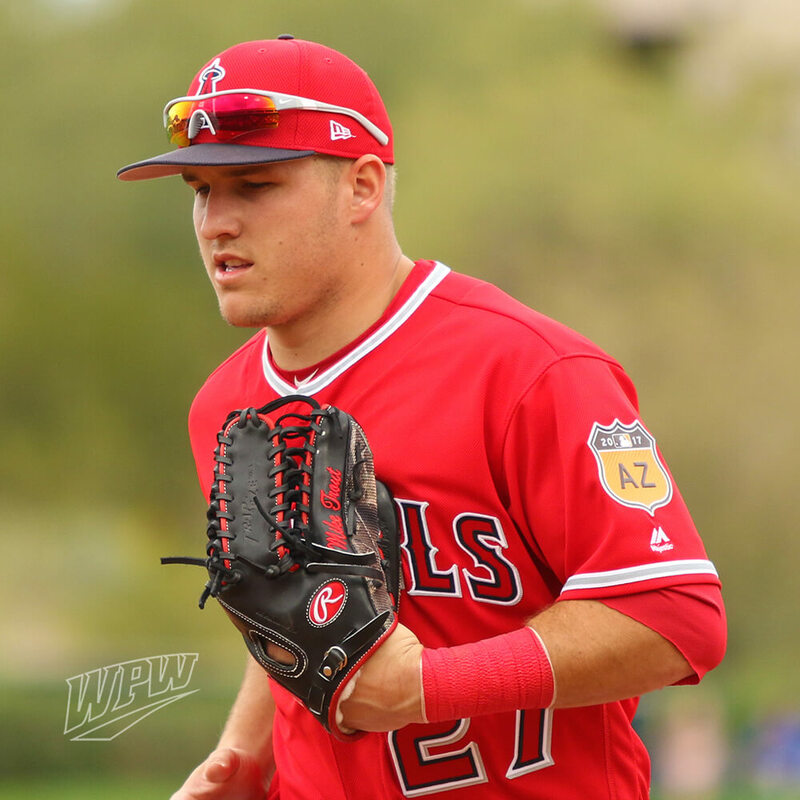 Mike Trout played in his first spring game today, and WPW was there to see him debut—with a new glove. 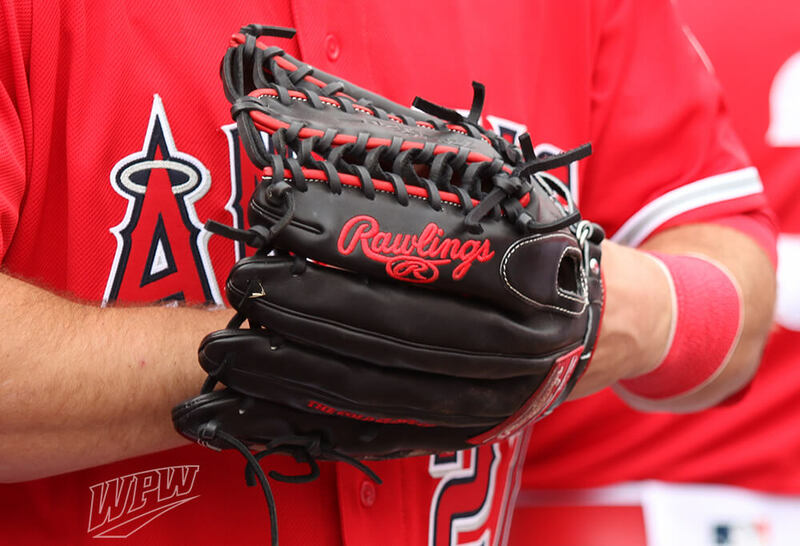 Trout dropped Nike and went back to the glove he wore when he first stormed into the MLB in 2012, the Rawlings Trap a la Griffey. 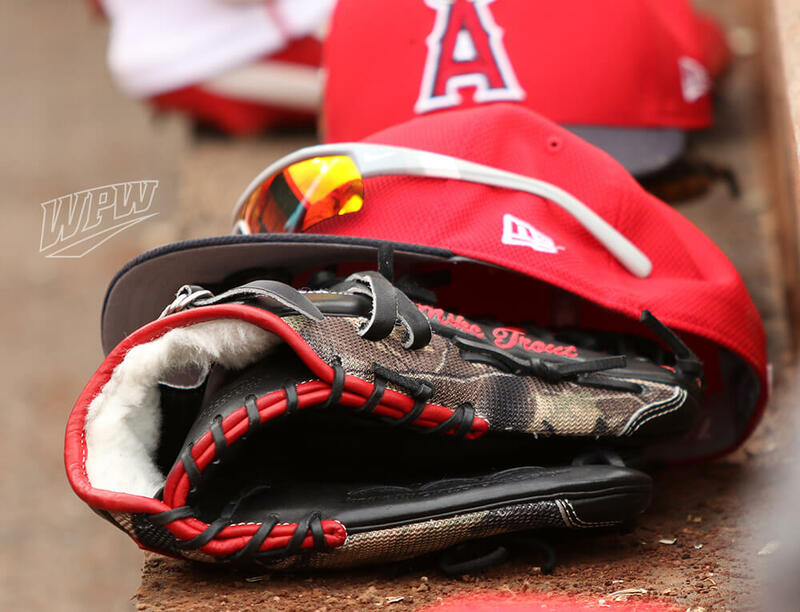 This time, Trout gets his own model number, the PROSMT27, with camo mesh on the pinky and thumb that sets this glove apart. The PROSMT27 is a 12 3/4 inch, which is no different than what he’s used in the past. Mike chose Pro Preferred leather for this glove, which tends to be a little stiffer than Heart of the Hide, but may last longer. 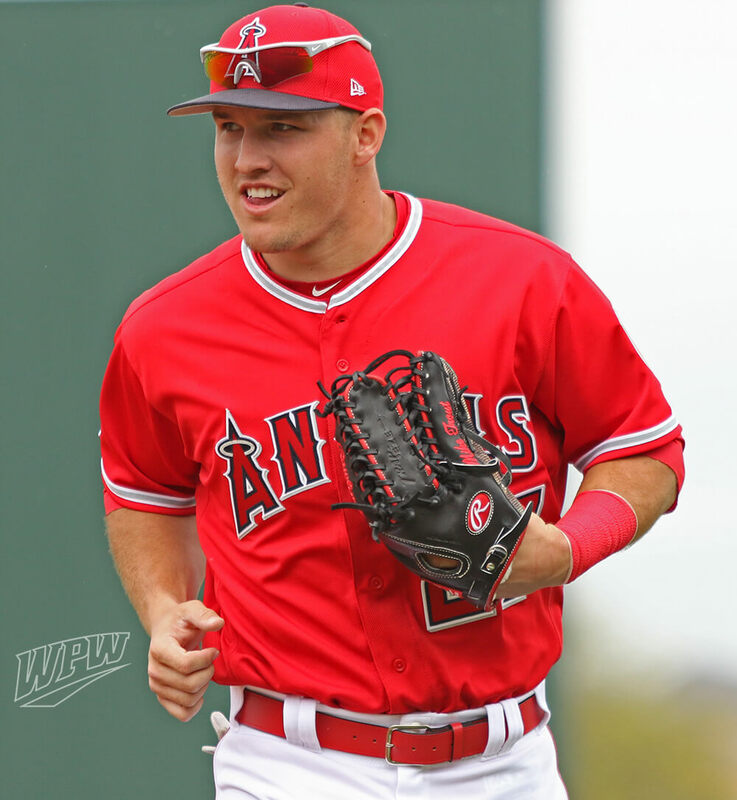 Rawlings’ signing of Trout hasn’t officially been announced yet, but with Trout’s star power, we expect the general public to be able to get their own PROSMT27 like Mike. 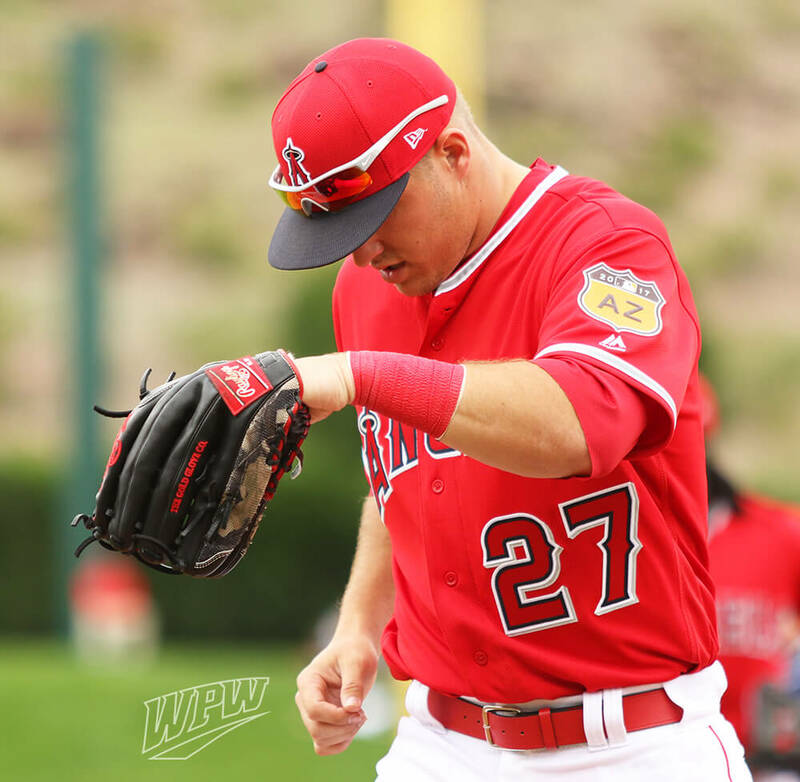 Trout’s switch out of Nike is not surprising, as other superstar outfielders like Andrew McCutchen and Matt Kemp have also left Nike for Rawlings. Nike’s Japanese SHA|DO leather was favored by most of their outfielders and now its been eradicated entirely from MLB outfields, though Carlos Gonzalez and George Springer still wear their synthetic Vapor 360 glove. 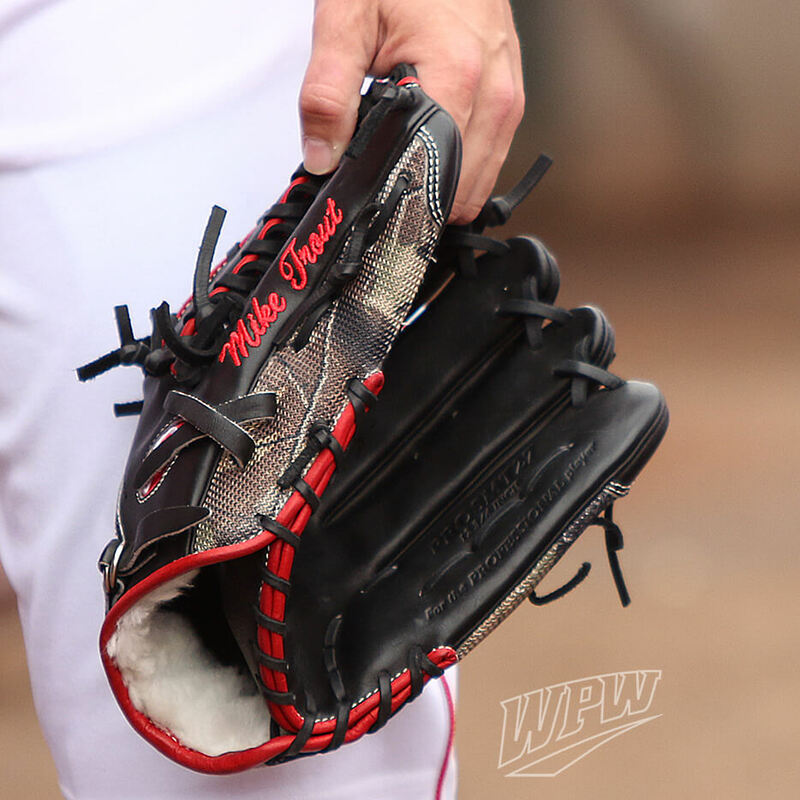 We’ll update you as soon as we have a link for this glove. What do you guys think of the design? In person I wasn’t a fan at first but I could see it being a hit with a lot of players.